THERE will be a very familiar face in the opposing dugout when Kildare begin their Division 2 league campaign in January of next year. Kieran McGeeney will make his first return to Newbridge as a manager since his six-year spell in charge of Kildare ended abruptly following a Qualifier defeat against Tyrone in 2013. McGeeney brought Kildare to a Leinster Final in 2009 and to an All-Ireland semi-final the following year. His Armagh side beat Kildare in the 2016 Qualifiers but next January will be his first official return to St Conleths Park. Who will be in charge of Kildare during next year became a little clearer following Tuesday evening’s county board meeting at the Manguard Plus Kildare GAA Centre of Excellence. 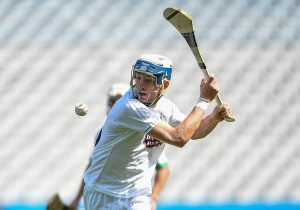 Chairman Ger Donnelly confirmed that Cian O’Neill and his selectors Ronan Sweeney and Enda Murphy have indicated their willingness to return for a further term and although there are a few small issues still to be ironed out, it appears that it is a matter of when, and not if, their re-appointment is ratified. The last of next season’s four homes, against Tipperary on 16 March, could be an emotional occasion because all going to plan, work to demolish the stand in St Conleths Park could begin the following week. At Tuesday’s county board meeting, Padraig McManus told club delegates that we are currently in the middle of a four-week spell where objections can be lodged after provisional planning permission for the redevelopment of the ground was granted two weeks ago. All involved are confident that there will be no issues and once planning permission is confirmed, Kildare GAA will make a more detailed presentation, including design and finance, to Croke Park. The plan is then to get final sign off from the Kildare clubs for the project in late October or early November. Demolition work is planned to begin the week after that Tipperary game with construction to begin in early May 2019. The only downside to the project is that St Conleths Park would be unavailable for any potential Qualifier and Super 8 games in the summer of 2019, as well as the club championships for that year and the entire 2020 football and hurling league seasons. A decision will have to be made in the coming weeks as to where those games will be played. If the project stays on schedule, the newly refurbished St Conleths Park would be ready for business by the summer of 2020. Elsewhere in the 2019 league season, Kildare face yet another away trip to Navan, and lengthy trips south to play Cork, and north to play Donegal. 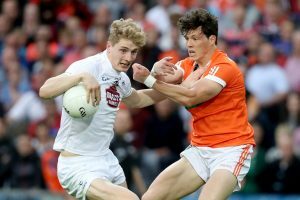 Kildare have lost their last three games against Armagh, including the 2017 All-Ireland Qualifier Round 4 tie and twice while Kieran McGeeney managed against his home county. Kildare’s last win over Armagh was under John Crofton in 2007 when Johnny Doyle scored 11 points in a 0-12 to 0-10 win. After a spell that saw Kildare beat Cork just once in 17 attempts between 1978 and 2012, Kildare have won three of the last four meetings between the counties. Last time they met, Kildare won 1-14 to 1-8 in St Conleths Park on their way to promotion to Division 1 in 2017. Kildare have won the last four meetings between the counties, including twice under current manager Cian O’Neill, but if you go back a little further, Fermanagh won three games in a row against Kildare in the early part of this century. Clare’s last visit to St Conleths Park was in 2017 when a late Paul Cribbin point clinched a 0-18 to 1-14 win for Kildare and confirmed promotion to Division 1. St Conleths Park is not a venue that usually brings Clare much luck on their infrequent visits to Newbridge but they did manage draws against Mick O’Dwyer’s team in 2000 and Dermot Earley’s team in 1995. Another visit to Navan for Kildare for the meeting of these two near neighbours. Somewhat bizarrely, seven of the last eight league games between the teams, going back to 2003, have been played in Pairc Tailteann. Kildare have won three, lost three and drawn one of those seven games, including when Ben McCormack’s goal after less than 14 seconds set up a win to kickstart the 2017 promotion campaign. Kildare have won every competitive game they have played against Tipperary, including a win in Clonmel during the 2017 promotion campaign. Kildare will hope to have any potential promotion wrapped up before a very tough looking away fixture in Donegal in the final round. The two teams relegated from Division 1 last year in a game best remembered for a red card shown to Kildare captain Eoin Doyle in the first for failing to wear a gumshield. The two counties will start the season as favourites for an immediate return to Division 1 and this could prove to be a crucial encounter. Hurling league fixtures have also been released with Kildare hoping to bounce back immediately to Division 2A. Kildare currently are managerless after Joe Quaid confirmed last week that he would not be returning for another term last week. A four man committee of County Chairman Ger Donnelly, Vice Chairman Mick Gorman, Hurling Chairman Colm Nolan and Treasurer Alan Dunney.